"Such murderers are very dangerous. They have to be removed -- sometimes with blackjacks." 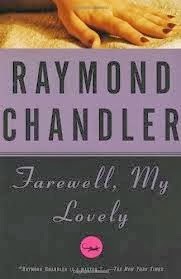 After reading two of his novels now, I'm beginning to like Raymond Chandler much more for his writing than for his plots. 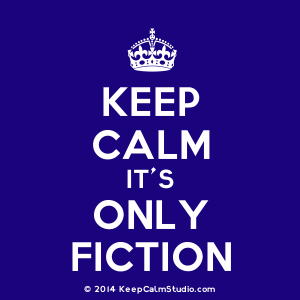 For anyone who thinks crime fiction has no place in the literary world, the Marlowe novels might make you change your mind. Chandler's an amazing writer when it comes to social commentary, the similes, metaphors and the sharp, electric prose he's famous for, and of course, his superb depiction of the city of angels of the 1940s that is so lifelike you almost feel that you're along with him for the ride. The novels are also a way for Chandler to examine American society of the time. "Nothing made it my business except curiosity. But strictly speaking, I hadn't any business in a month. Even a no-charge job was a change." Yet, it isn't long until he does get a paying job, from a guy by the name of Lindsay Marriott, who supposedly picked his name out of a phone book needing a bodyguard. Things go terribly wrong when Marriott is murdered, leaving Marlowe to get the bottom of who killed him and why. His quest to find Velma and to find out who offed Marriott takes him on a meandering trail through the city, leading him to an alcoholic woman with a very nosey neighbor, a fake swami, a older millionaire and his much younger wife, some very corrupt cops, blackmail, theft, and an offshore gambling operation run by a man whose power and money can buy a city mayor. While I am not much of an analyst when it comes to reading -- a) there are a huge number of analyses of Chandler and his writing all over the place and b) I'm just not good at it so don't pretend to be -- one thing I particularly noticed in my reading was Chandler's use of the color red. To me, where ever Chandler focused on mentioning red, some kind of danger -- emotional or physical -- was nearby. Velma, Malloy's old sweetheart, was a redhead. Anne Riordan, daughter of an ex-police chief and an ally of Marlowe's in this book, is also a redhead. He likes her enough to keep some of the worst details from her and finds himself thinking about how her apartment would be a "nice room to wear slippers in." He watches a red neon light flashing in the hotel room where he stays just before getting on the water taxi to go out to the gambling boat. He meets ex-cop and boat driver Red Noorgan, with "hair the shade of red that glints with gold," who has "Violet eyes. Almost purple. Eyes like a girl, a lovely girl," with skin Marlowe describes as "soft as silk" and a voice that was "soft, dreamy, so delicate for a big man that it was startling. It made me think of another soft-voiced big man I had strangely liked." There are likely more instances, but I found the use of red quite interesting here. The mystery plots that eventually tie together are a little clunky, but I loved this novel and I wish I had read these books long before now. The writing alone is worth working through the convoluted plotlines, but most of all I love the character of Marlowe. As I found in The Big Sleep, he's a knight of sorts in a city where knights don't really have a place -- and I really like that about him. FYI -- this book was written in the 1940s so you're going to encounter some pretty ugly racial slurs and racist attitudes as you read. That sort of stuff is a bit shocking, but considering the times, not so unusual for back then. definitely recommended -- now on to the third Marlowe novel.